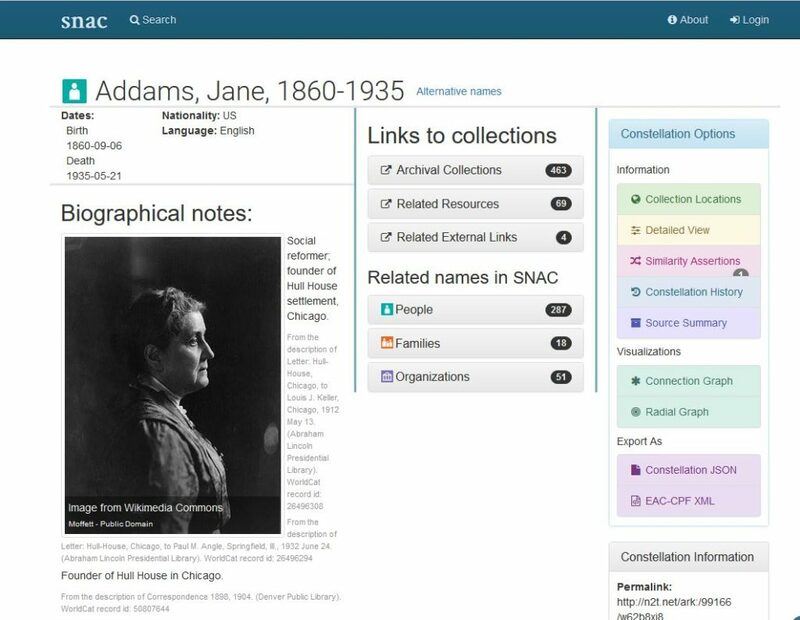 I am pleased to announce that the Jane Addams Papers will be joining the Social Networks and Archival Context (SNAC) Cooperative in its final phase of work. SNAC has been hosted by the University of Virginia’s Institute for Advanced Technology in the Humanities and the University Library and funded by the National Endowment for the Humanities (2010-2012) and the Andrew Mellon Foundation (2012-2017). 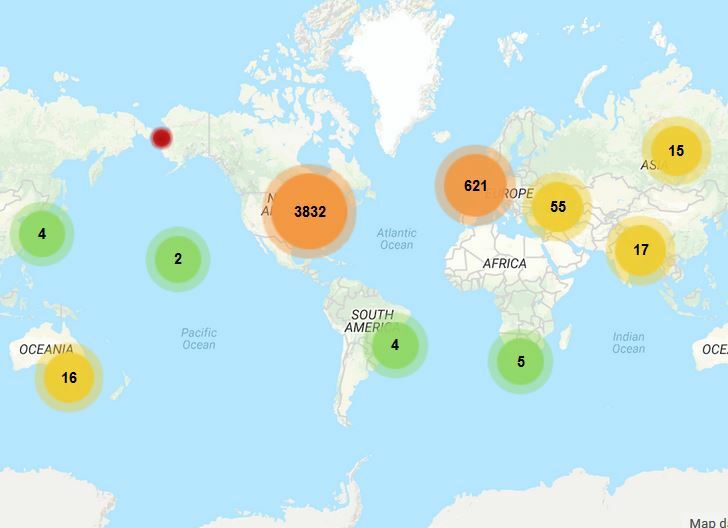 The Cooperative seeks to improve the economy and quality of archival processing and description, and build a global social-document network using both computational methods and human curation. I first came across the SNAC web portal when doing research for biographies for our digital edition. SNAC provides biographical information, links to archival collections, and to related people, families and organizations. I decided that we would make SNAC one of our go-to resources for our biographies. We link all our biographies to the SNAC record to enable our researchers to locate an ever expanding list of resources on that person. SNAC imports data from finding aids, Wikipedia entries, and other sources. As we made links between our biographies and theirs, I started to wonder whether we might be able to contribute materials as well. I reached out to Daniel Pitti, the project director. 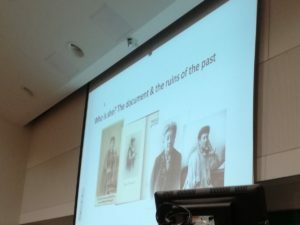 The Jane Addams Papers is not an archive, but an edition, and I wasn’t exactly certain how what we we would interact with SNAC. With only two years of work under our belts, we have identified over 4,500 individuals, who wrote letters to Jane Addams, received letters from her, or were mentioned in the documents. Our individuals range from historical figures, like Plato and Wat Tyler, to Chicago police George Shippy and John McWeeny. We have over 100 suffrage activists, including Catherine Karaveloff, Carrie Chapman Catt, and Zofia Golińska-Daszyńska. There are philosophers, criminals, homemakers, and union leaders, and over 200 social workers and welfare activists. About 60% of the names we have linked thus far are men and 40% are women. The people who come up in Addams’ documents are primarily American, but we have increasing numbers associated with Europe and Asia as Addams broadened her reach and networks. The screen shot below of our map view of individuals will change as we deal with more of Addams’s international peace work. We are looking forward to seeing how SNAC can work with data coming from our Omeka-based digital edition. We will not be the only editing project joining at this time, the Walt Whitman Archive is also coming on board. I will keep you posted as the work begins. 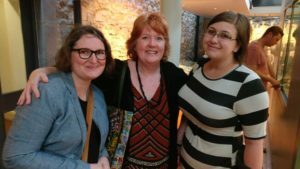 The Addams Papers Goes International! Cathy led off the panel talking about the “Big Picture: Conceiving a Digital Edition of Jane Addams’ Papers,” providing a short history of the Addams Papers microfilm and book projects, and the process that went into deciding to digitize the microfilm edition. The decisions to be made involved thinking through the audience for the edition and what kinds of tools and resources they needed. In addition, Cathy discussed the decision to use the Omeka database-driven platform for the digital edition rather than using text encoding using XML. Going with a web-publishing friendly system allowed the Addams Papers to design a site that not only provides deep metadata, but also manages the project’s internal workflow, tracking information on each document as it passes through our permissions and copyright checks, metadata and transcription, and proofreading. Cathy also talked about her desire to see the Addams Papers edition be flexible enough that scholars and students can use its materials to build their own research projects. Cathy talking about biographical resources. Tori’s talk, “The Nuts and Bolts: How an Omeka-based Digital Edition Works,” brought us into the back end of the project, showing how we defined the metadata and relations between the 21,000 eventual documents, and the entries on people, organizations, publications, and events that are discussed in them. She described the use of the Items Relations Omeka plugin, which we tweaked some, to build an edition that lets users move flexibly between drafts and final versions, letters written by and to a person, and individuals who were members of an organization, or participated in an event. She also talked about how we decided on a transcription policy. Because we make the images of the documents available on the site, we wanted our transcriptions to be more useful as a search mechanism. We decided to standardize our transcriptions (converting British spellings, archaic spellings, and misspellings) as long as we used brackets to signal that the editors had changed the text. Readers who want to see the original need only click to see the manuscript image. She also discussed our student workers at the Addams Papers–the engine that keeps the project moving. With editors focused on training and quality control, it is a cadre of 10-15 Ramapo College undergraduates that are entering and transcribing documents and researching and writing identifications. Anneliese discussed “Designing a User Interface for a Digital Edition.” Coming from the perspective of a digital library developer, Anneliese talked about her experiences working on the Jane Addams Papers and the Kentucky Civil War Governors Papers, also an Omeka site. Discussing the different values that the project had, she walked through the way that developers work with editors to configure their sites, looking at who the intended users of the site will be, the kinds of searching they will need, and how much metadata should be used for site navigation. Anneliese noted that the Addams site was interested in exposing metadata, developing spatiotemporal context for documents, and creating branching paths through the edition. The Kentucky Governors project looked to create a more linear path through documents, but were more interested in presenting transcriptions alongside images of documents. In addition to our panel session, we were able to learn about some extremely interesting projects in women’s history, both here in the U.S. and abroad. Rachel Love Monroy, Lauren N. Haumesser and Melissa Gismondi discussed the Founding Women project that seeks to build a federated documentary edition of a variety of women’s papers. Eric Pumroy spoke about Collegewomen.org, which seeks to build an inclusive resource about late 19th and early 20th century college experiences for women. 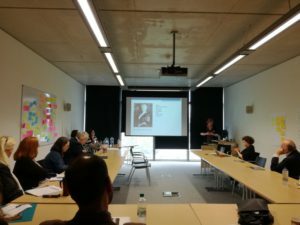 Cécile Gotdon spoke about Ireland’s Military Pension Project, a fascinating look at detailed records of men and women involved in the Irish military between 1916-1923. And Alvean E. Jones’ work to provide access of the history of St. Mary’s School for Deaf Girls in a way that makes it accessible to deaf scholars, by translating digitized material into Irish Sign Language videos. 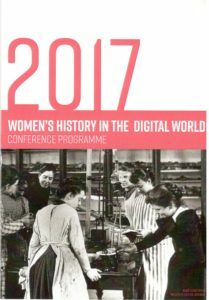 Helena Byrne discussed a project to gather a digital history of Irish women’s indoor football leagues in the 1960s. And Liz Stanley gave a wonderful presentation on the Olive Schreiner Letters Online and the difficulty of representing a person from the things left behind. Thanks to all who attended for a fascinating time!